Quality Assurance is at the center of every abrasive blasting and coating application performed. Dalco boasts a full in-house QC department that oversees every project. Our commitment to quality is proven in the fact that nearly a quarter of employees are NACE Certified Coating Inspectors. Dalco provides maintenance coating solutions, application, training, and inspection services to industry where there is a pre-qualified need for corrosion and physical/mechanical wear protection. Our team is dedicated to understanding our client’s specific and unique needs, designing customized ideas and delivering efficient solutions that meet client expectations. Our staff and management are committed to process management, high safety standards and a workplace that attracts and retains people. SSPC QP1 – Since 2013, Dalco has maintained this certification. 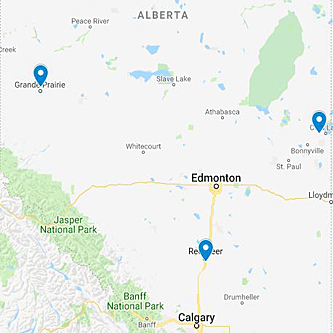 Considered the highest level of quality management for field coating processes; we are the only non-union and 1 of 2 companies in Western Canada with QP1 status. Learn more about how QP1 benefits facility owners here. SSPC QP2 – Western Canadian bridges are covered in lead paint and failing. Recognizing the competency required to abate and repair this infrastructure, Dalco has again looked to SSPC and their QP2 certification to ensure these high profile projects are completed safely with zero impact to the environment. This certification requires a C3 trained individual at every lead or hazardous coating removal project. Dalco has you covered with 5 employees having completed this intensive training. NACE CIP Inspectors – With 19 on staff, Dalco is proud to employ the highest percentage of NACE certified inspectors in the industry! This allows us to have a NACE CIP Inspector at every job, no matter the size. Assuring your projects are complete correctly, the first time.